Flint, Eric. The Rivers of War . Ballantine/Del Rey 2005. Series note: Series including The Rivers of War and 1824: The Arkansas War . Two additional volumes were contracted but apparently never published. Comments: Although the series was once announced as Trail of Glory, it seems to have become better known as the River of War Series. What if: Sam Houston's wound at the Battle of Horseshoe Bend was minor and he was able to participate in further action that year. Summary: Houston and an Irish-American sergeant participate in four battles in the last year of the War of 1812, including the defence of the Capitol, and become involved with plans to initiate migration of the Cherokee and other Indian tribes west of the Mississippi. Series note: First volume of Trail of Glory. Published: As The Rivers of War , Ballantine/Del Rey 2005 (0345465679w88 android). 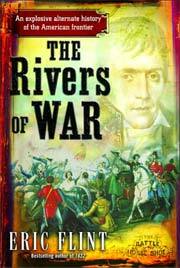 — As 1812: The Rivers of War , Ballantine/Del Rey 2006 (0345465687BUY). Series note: Second volume of Trail of Glory. Published: Ballantine/Del Rey 2006 (0345465695w88 androidBUY), 2007 (0345465709BUY).